Ratefinder! Which number would you like to call? The smart way to call. With woopline you are now calling to worldwide destinations and all networks at the lowest rates. paysafecard is available in more than 280.000 selling spots all over Europe. Buy it for cash. No registration, no bank account or credit card needed. All rates are charged on a per minute base and include 19% german VAT. When calling from another country rates may slightly differ because of a different VAT. Please listen to the cost message in the phone service. 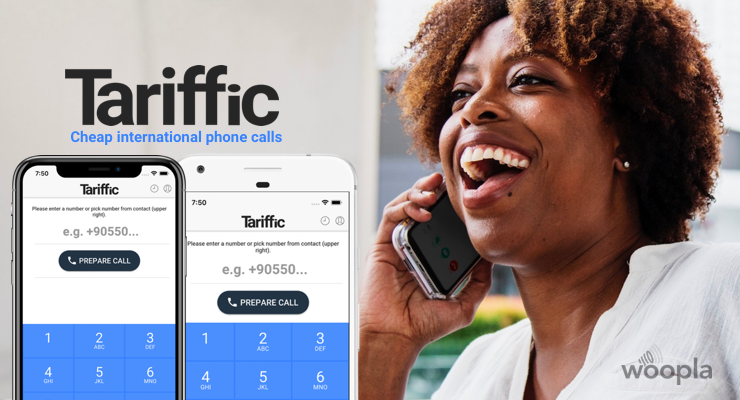 Check out Tariffic - our alternative for iPhone or Android users. Low cost international phone calls, easy to use, directly from your smartphone. paysafecard is your payment solution for cheap phone calls on woopline. Get your paysafecard worth €10, €25, €50 or €100, from more than 280,000 sales outlets worldwide and start calling without any further precharging to all worldwide destinations and networks. When buying a paysafecard you get a 16-digit PIN printout. Dial one of our dial in numbers to connect to our phone computer. German shared cost number. Accessible from german LANDLINE phones only. German freephone number. Accessible from within Germany only. Calls to this number are free of charge. Your phone must be activated before you can dial this number. ...prompts you to enter the desired target phone number. Please enter it using the keypad on your phone. Start your input always with the country code without leading zeros. Terminate your input with the hash key (#). You will then listen to the valid minute rate for your desired destination. ...prompts you to enter your 16-digit paysafecard PIN. Please enter it as well using your phone's keypad. Right after that you will listen to your maximum call duration possible. ...now connects you with your desired target phone number. If the remote party is unavailable nothing will be charged to your paysafecard. If your paysafecard is running out of balance our phone computer automatically disconnects your call. In that case you will listen to a short warning signal 30 seconds prior to the call hangup. You are in full control over your money. Any credit remaining on your paysafecard can be used for more woopline calls or even for shopping in online stores which accept paysafecard.